About 20 miles outside Alpine to our left brewed a monster thunderstorm. It marched across the land at lightening speed, no pun intended. The rain appeared to hit the dry ground so hard it created dust clouds that bounced up and collided with the rain clouds. Frank later said it was merely dust funnels that formed in front of the rain caused by the high winds. Whatever it was, I had to get a photo. Fortunately, we were able to skirt the rain, only getting a few scattered drops here and there. We passed through the wind that drove the storm and I had visions of Dorothy in the Wizard of Oz flash before my eyes … and then we were past it. I’ve seen a lot of rain storms in my lifetime but this one was very impressive. We arrived in Alpine, population 6000, and checked into the Maverick Inn located across the street from Sul Ross University on Hwy 90. The décor of the hotel perfectly expressed the ambiance of West Texas. Kudos to the decorator, inside and out. The employees were very friendly, offering suggestions on places to eat and answering all of our questions with a smile. In fact, everyone we met in Alpine was friendly. After our long ride, Frank and I were a bit hungry and I wanted to save our appetite for dinner so we asked if there was a place where we could get a nice glass of wine and a snack. We were directed to the Century Bar and Grill in the Holland Hotel, sister property to the Maverick Inn. It was exactly what we were looking for. The bar menu was West Texas to the core. They offered House made Chips & Salsa, Fried Pickles, Southwestern Hummus, Fried Calamari and Spanish Chorizo Flatbread. We chose the Spanish Chorizo Flatbread and it was awesome. 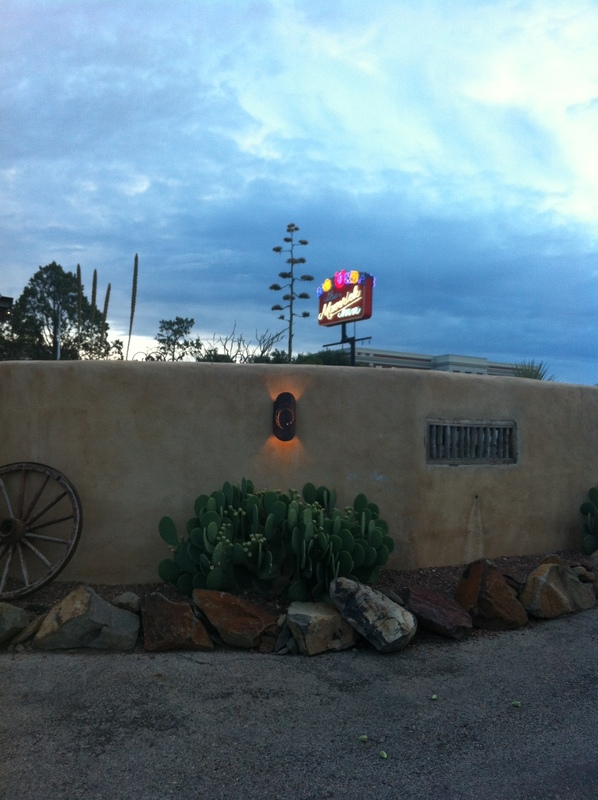 If you ever get to the Century Bar and Grill in Alpine stop in and give it a try, but not on a Monday – they’re closed. Sunday was the last day of the 2nd Annual Viva Big Bend Music Festival held the third weekend in July in Alpine – Marathon – Marfa – Fort David area. Frank and I arrived in time to catch the Folk Family Revival at the Railroad Blues Bar. Great band, great venue! 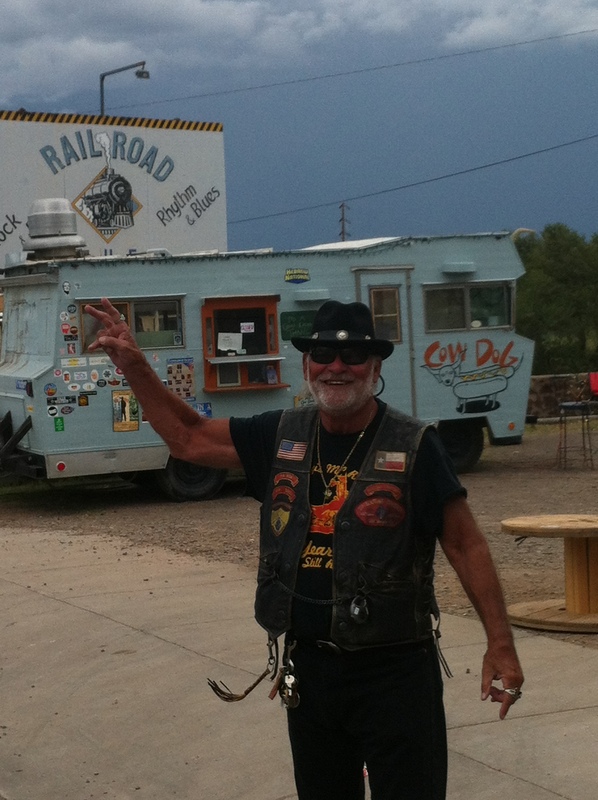 As planned, we had a couple of hot dogs purchased from the famous Alpine traveling food truck, Cow Dog. At the recommendation of the window girl, I had the “Mexican” which came with custom pico de gallo, bacon, sharp cheddar cheese, mayo, and ketchup. She said it was one of Cow Dog’s best sellers. 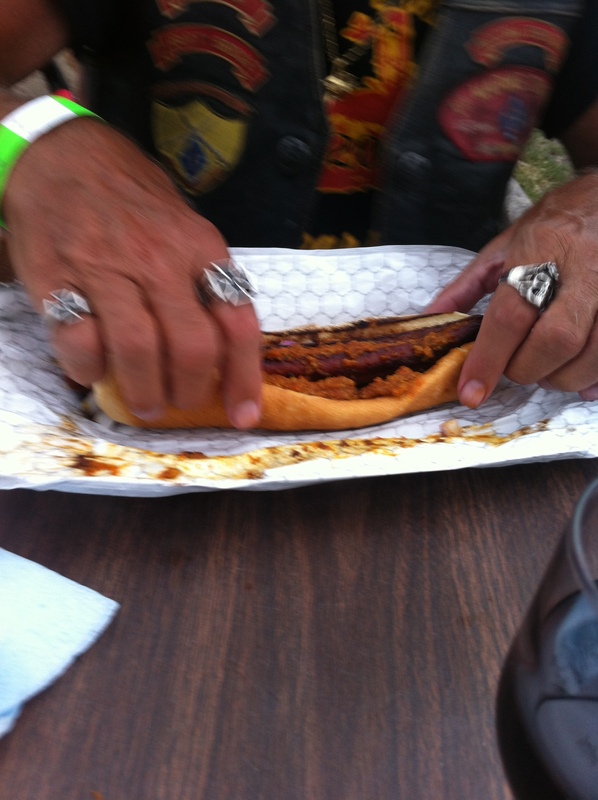 Frank, the hot dog connoisseur, had his regular dog with mustard, onions and chili. He said it was fantastic, up there in the top 10% of historical hot dog consumption. Not bad, huh! Foot long chili, mustard, onions. 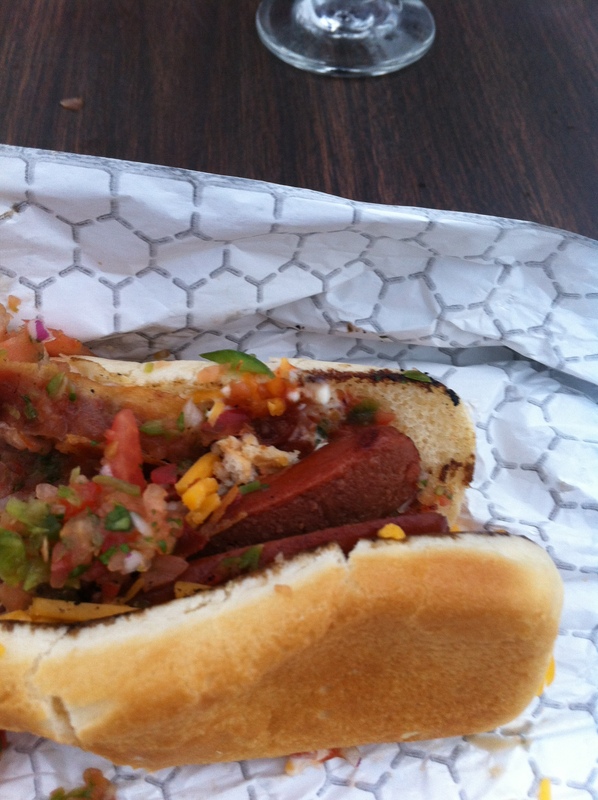 The “Mexican” hot dog – Half eaten – Yum! 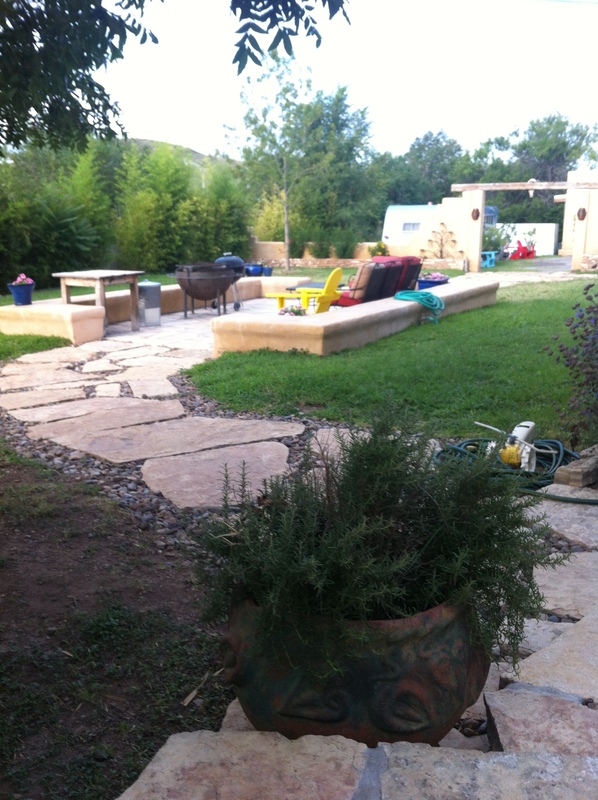 Next year Viva Big Bend is definitely in our travel plans along with another visit to Cow Dog. July 29 – Monday morning was breathtaking in beauty and smell. When I stepped out of our room I was hit by the strong odor of baby powder. It was the same memorable scent I encountered on my first visit to Alpine some years back. I can only guess that it was the aroma of the native flowering blooms. What a great day to be alive! The temperature was around 62 degrees with low humidity. We couldn’t wait to go for a ride. 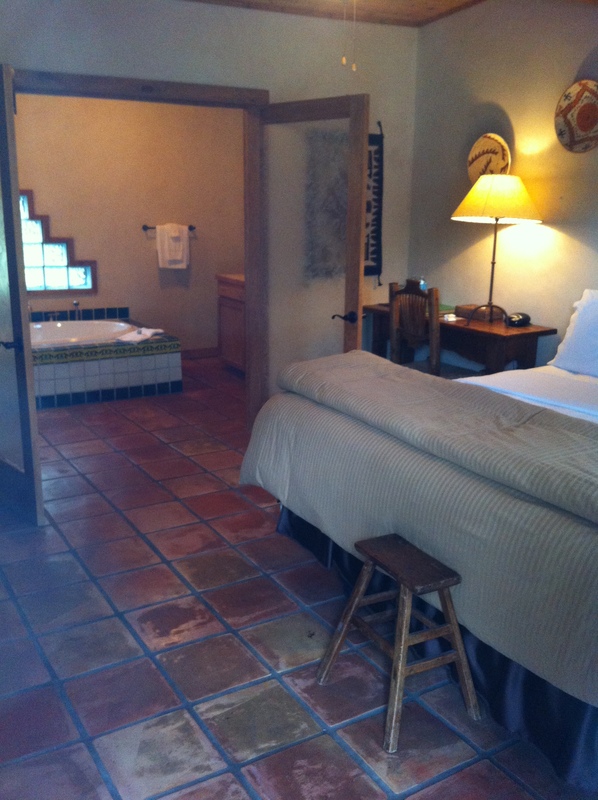 The area offers curvy roads, canyons, and the beautiful Davis Mountains – highest peak approximately 8000 feet. After a morning of riding, we decided to ride 26 miles to Fort Davis which is located at the intersection of State highways 17 and 118 on Limpia Creek, for lunch. We stopped at the Blue Mountain Bistro. Frank had a BLT and I had a chicken salad. We both agreed we made excellent choices. After lunch we returned to Alpine to meet with Michelle Foster who gave us a tour of the off roads, roads much better navigated in a cage than on a bike. Here’s a shout out to Michelle. Hey, Michelle. Thanks for the sight seeing trip. 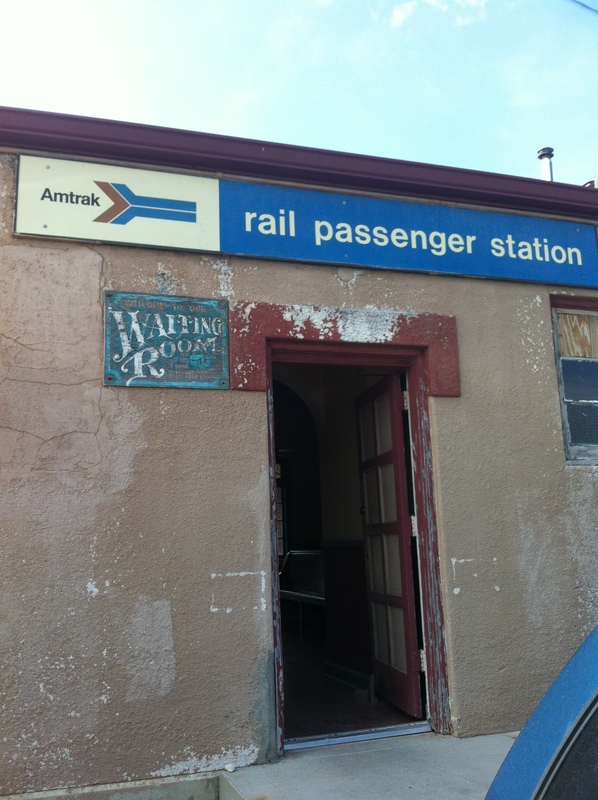 Something I found to be fun about Alpine is the Amtrak passenger train, The Sunset Limited, stops there. Frank and I both love train travel so we popped in at the train station to check it out. My next trip to Alpine will definitely be on the train. I can hardly wait. 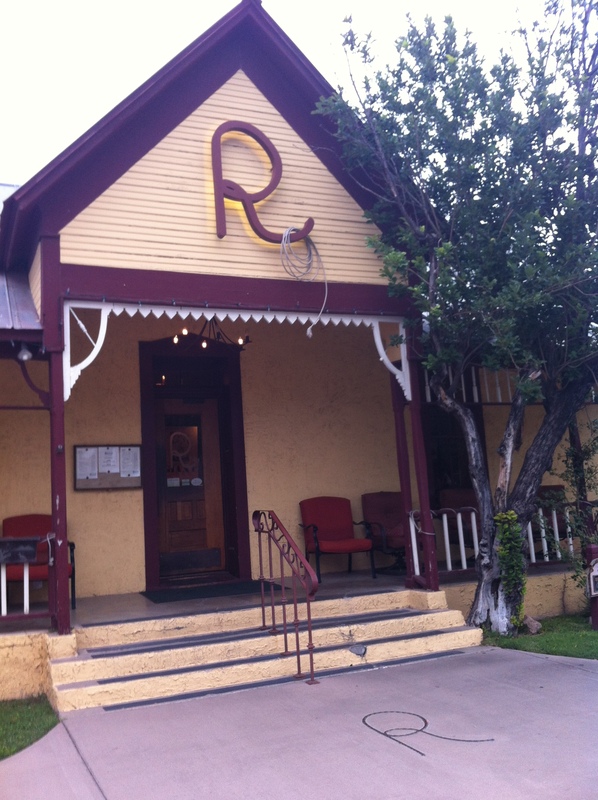 After a full day of exploring we had a fabulous dinner at the Reata Restaurant known for its legendary Texas cuisine. Austin, the Assistant Manager was our server. She was a delightful girl and definitely an ambassador for Alpine. She said she loved living in Alpine because all the people living there were so friendly and genuine. She said and I quote, “The only people that are here are here because they wanta be here. That’s why they are all so happy.” Makes sense to me. Here’s a shout out to Austin. Hey, Austin! Love your positive attitude and your town! July 30 – 520 miles – Alpine to Port Aransas. A great day of riding. July 31 – 210 miles – Port Aransas to Houston. Total trip mileage – 1290 plus. Selecting West Texas as a destination to build new experiences and ponder life was exactly what we needed. I feel we only grazed the surface so a trip back to West Texas is already in the making … and that’s a wrap. Tip for the day: Life is short so take advantage of everyday, if you can, when you can, because it could be your last. 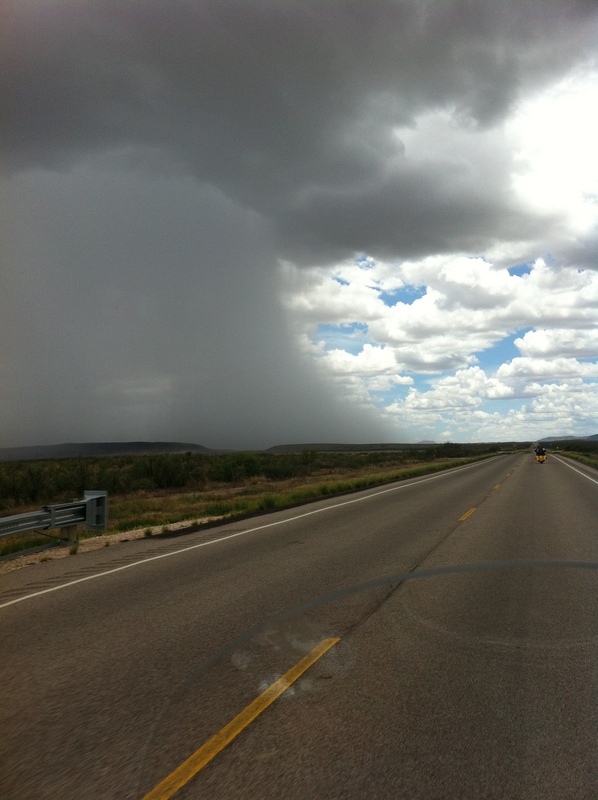 This entry was posted in On The Road Again and tagged alpine texas, bike trips, motorcycle travels, motorcycle trip, motorcycling, Reata, Viva Big Bend, West Texas Thunderstorm, women motorcycle. Bookmark the permalink. Thanks Texas Rambler, I am a Texan to the core and I LOVE that part of the country. Can’t wait to go back.